Before she left on tour for Japan, my friend the amazingly talented singer Tara Baswani wanted to collaborate on a dress project / photo shoot together. 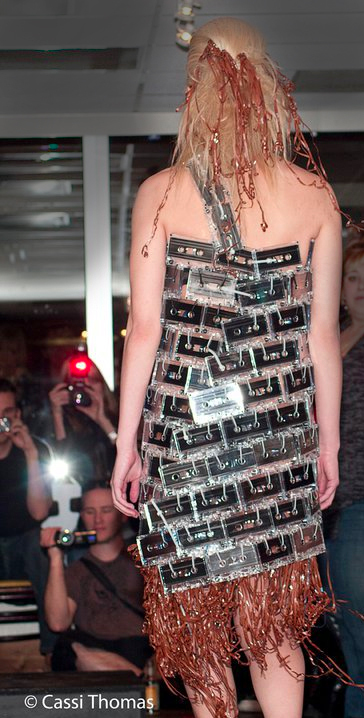 In honor of her music I made a cassette tape dress for her to wear. 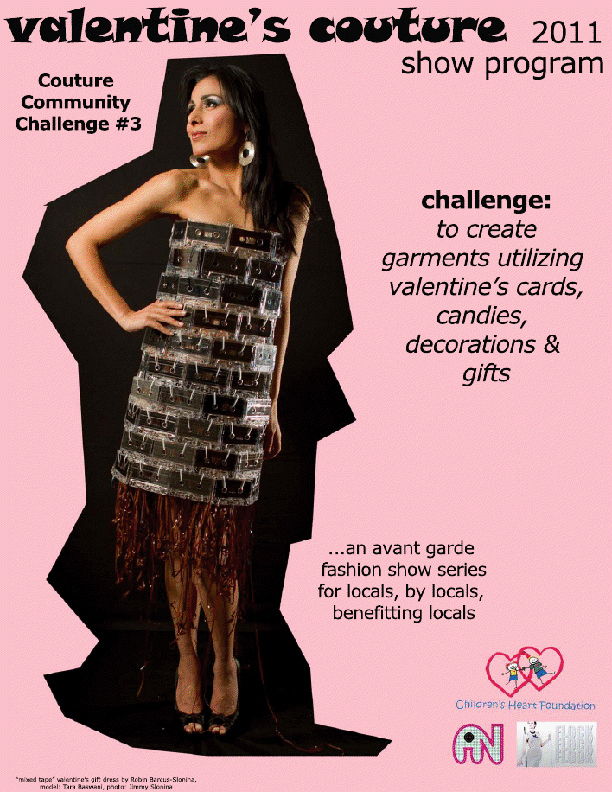 It was then used for a local Valentine’s Day Couture Art Challenge in Vegas, benefiting the Children’s Heart Foundation. Since I grew up in the era of romantic “mixed-tapes” I figured it was fitting for Valentine’s! Tarra is modeling the Cassette Tape Dress on the program for the benefit fashion show. It was then modeled on the catwalk by Jessica Napier. Hair and makeup by Stephanie Aguilar. I found your work when I was doing research on flower identification (the dandelion dress came up on the search). I really enjoyed your ideas and recommended your blog to a friend of mine who is an artist. I look forward to seeing more of your work. This is a very different idea with the dress concept. This dress can be used as a wedding dress for the music artist.